New Year; New Office for Aries! To support continued growth, Aries completed an office move earlier this year! 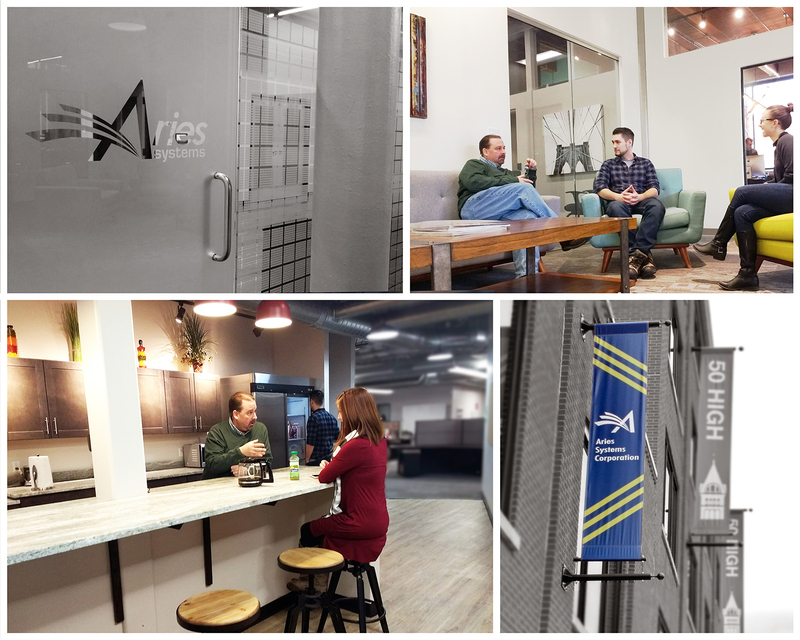 The new office is less than a mile up the road from Aries’ prior location in North Andover, Massachusetts, the new space will be home to future chapters of innovation! Visit the website for more photos, our address, and to learn more about Aries’ new home in a refurbished mill building! The latest Editorial Manager adopters include publishers in China, Korea, Spain, Italy and Mexico. Through association with the AAAS Partner Journals program, Research, the official journal of China Association for Science and Technology (CAST) has adopted EM. Geological Society of Korea’s Episodes; Colegio Oficial de Psicólogos de Madrid’s portfolio of 8 journals including Psychosocial Intervention, and Journal of Work and Organizational Psychology; the journals program at Bononia University Press; and Sociedad Mexicana de Oftalmología’s Revista Mexicana de Oftalmologia recently transitioned to EM for submission and peer review workflow. Over 100 journals using Editorial Manager collect contributor roles during submission via the CRediT Integration (with useful reports). Contributor roles increase transparency and help confirm that contributors of research output receive appropriate recognition for their work. These journals include PLOS One, Journal of Bone and Joint Surgery, Giga Science, and many more. Visit CASRAI to learn more about the CRediT taxonomy. Building out a suite of resources to share with your Author community? This newly released video walks Authors through five efficient tips meant to optimize their experience within the system. Contact marketing@ariessys.com to request an embed code today! Don’t Miss ISMTE’s Asian-Pacific Conference! ISMTE’s Asian Pacific Conference is March 27 – 28 in Singapore. Topics include nurturing author communities, working with preprint servers, standards and persistent identifiers, a COPE workshop, and ample opportunity to network with industry colleagues. There’s still time to register, so review the agenda today! Aries proudly sponsors the meeting WiFi, and Director of Product Management Tony Alves will attend, participate, and present closing remarks. Thank You for Attending EEMUG 2018! 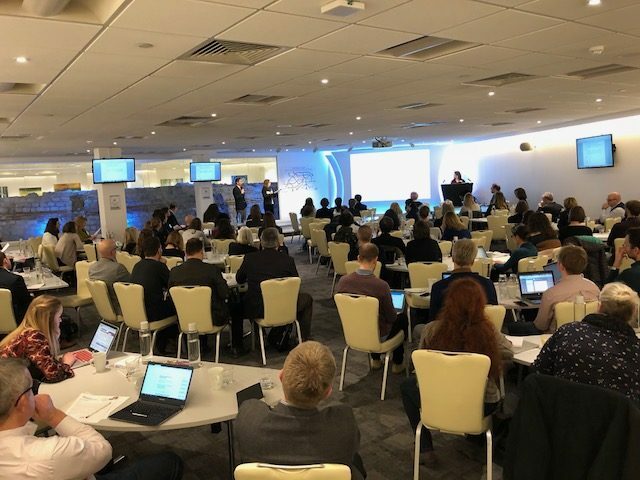 A record number of industry professionals participated in EEMUG 2018 last month. Review presentations from the meeting. UK User Community members voted on the US User Community’s top feature workshop ideas from EMUG 2017 with an interactive poster. US Colleauges will vote on UK feature workshop suggestions at EMUG 2018 in June. Stay tuned for more details. Aries is pleased to announce membership in NISO as Voting Member in 2018. NISO members include library, publisher, and service providers working to solve problems of mutual concern. Voting members help influence the process and mold the future of the industry. NISO, based in Baltimore, Maryland, fosters the development and maintenance of standards that facilitate the creation, persistent management, and effective interchange of information so that it can be trusted for use in research and learning. NISO is a not-for-profit association accredited by the American National Standards Institute (ANSI). For more information, visit the NISO website. Journal of Neuropsychology recently implemented a workflow designed to improve replicability and transparency of scientific research. The Registered Reports workflow allows researchers the benefits of peer review of their methods and study design before they begin their work and offers in principle acceptance, irrespective of research outcome, thus potentially reducing bias. This workflow is achieved using a Registered Report article type configured within the journal’s Editorial Manager deployment. The Journal is published by The British Psychological Society in partnership with Wiley. 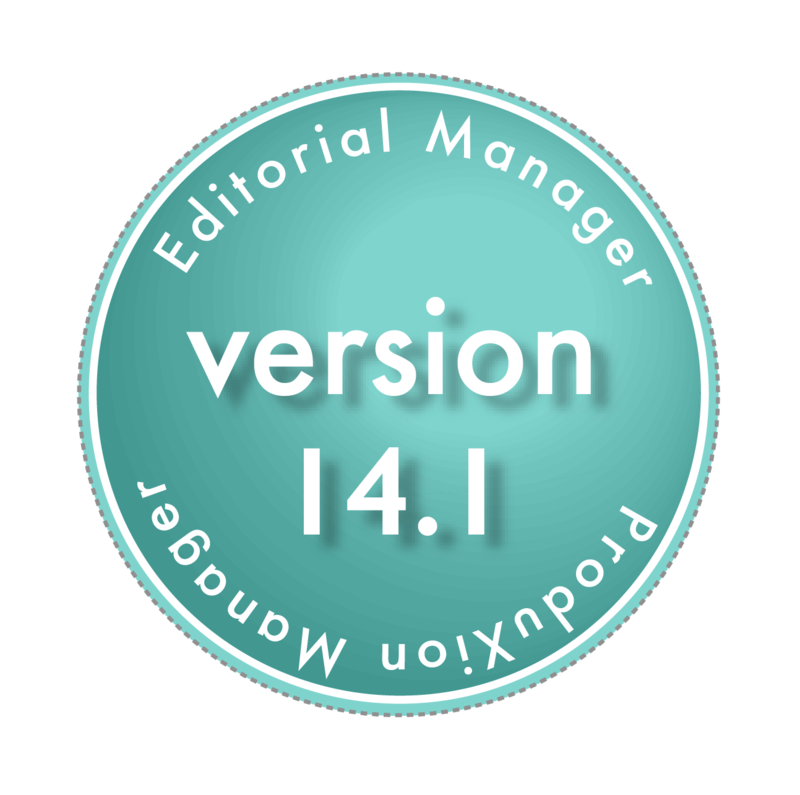 Editorial Manager Version 14.1 includes a new author submission interface update that combines functional elegance with an updated design. New functionality automatically extracts text from the Author’s submitted Word file (including title, abstract, and authors and affiliations) thereby reducing the need for authors to manually re-key these data during submission. This means authors will have a faster, simpler submission experience. To learn more, watch this brief video overview. Version 15.0 introduces ORCID Peer Review in workflow. This integration gives journals control over the data shared via the reviewer’s ORCID record. 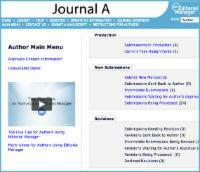 This means that journals configure ‘profiles’ for deposit. For example, recognizing reviewers only when reviews are high quality, and submitted on time. Be among the first to use this functionality. Sign up to join beta testing today, for earliest access possible. Go ahead, initiate your interest to your Account Coordinator!